The CD features 2x Grammy nominee Mindi Abair on saxophone on two of the tracks. PGS recently opened for Mindi and her band The Boneshakers at B.B. King’s Blues Club in New York City and they are thrilled to have her as a guest artist on ‘The PGS Experience”. Mindi performs on two of Robert’s original compositions: ‘Metro Shuffle’, a powerhouse track and Robert’s ode to his New York City home town with its tough, gritty feeling; and on ‘Fishin’, a laid back Island vibe song. About her appearance on the album Mindi Abair says: "I loved playing on Project Grand Slam's CD! Robert's songs are terrific and the band has such incredible energy and great musicianship!" Project Grand Slam is known for their dynamic live shows. Originals composed by Robert on the CD include ‘Hollywood’, an upbeat power song that captures the frenetic Tinseltown pace, in addition to ‘Metro Shuffle’ and ‘Fishin’. As a huge fan of Classic Rock, Robert likes to do reimagined covers of some of the genre’s best-known songs but with the twist of using a female vocalist. This style has quickly become a fan favorite and a hallmark of the band. 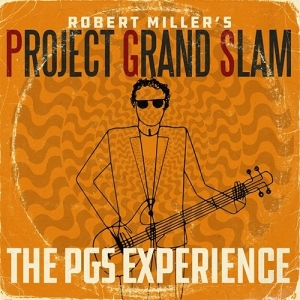 ‘The PGS Experience” continues this trend with a unique PGS-style cover of Cream’s ‘I’m So Glad’, which coincides with the 50th anniversary celebration of the U.S. release of Cream’s debut album in 1967 containing the song. Recording a Cream song was a natural for him considering one of his major inspirations on the bass guitar was Jack Bruce. The other new cover on the CD is Robert’s reimagined version of ‘Free’ by Phish, the jam band super group. This song will be available as the first single from the CD at the end of May. Robert says: “I love Trey Anastasio and Phish and I spent a year thinking about the best way to adapt one of their best known songs to the PGS style, yet in a way that would do justice to Phish and also be appreciated by the band and their fans”. The live tracks on the CD are among the band’s most beloved songs and capture the power of the band in concert. They are ‘The Queen’s Carnival’ and ‘Gorilla’, two of Robert’s compositions, and Robert’s reimagined versions of The Kinks’ ‘You Really Got Me’ and Jimi Hendrix’s ‘Fire’. The first three were previously released as studio tracks on the band’s 4th CD, “The Queen’s Carnival” (2016).